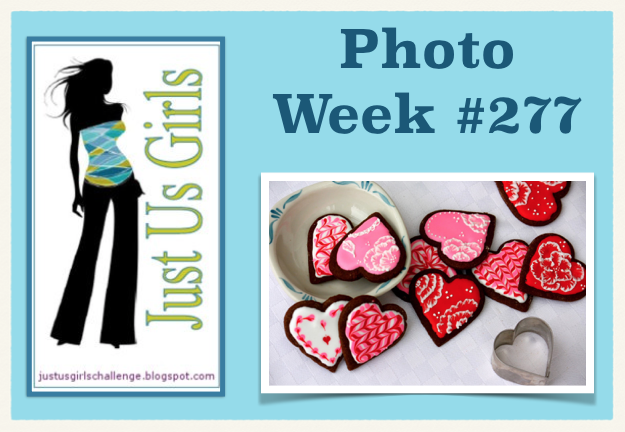 Happy Weekend Friends, It’s Saturday and it’s time for our Inspiration photo week over at Just Us Girls. I love making Valentines and this in particular one is going to be sent to my son and stuffed with a restaurant gift card for him to use with his girlfriend at his leisure! I sure hope he is to busy with his Masters and full time job to read my blog these days. That would be a huge spoiler! A risk I am willing to take. I can’t take complete credit for this card idea. My SU demonstrator had the cool bag diecut at our class last month. It so much fun and easy to put together. This one is actual made from a piece of cardstock, I think a thin brown paper type of material would be less puffy. All the other details are all made with SU supplies as well. Hope I have inspired you a tad to make some Valentine cards as well. If I have been successful please come by Just Us Girls and join us! Our Guest Designer Judy and the team did some great cards! Come by and check them out! 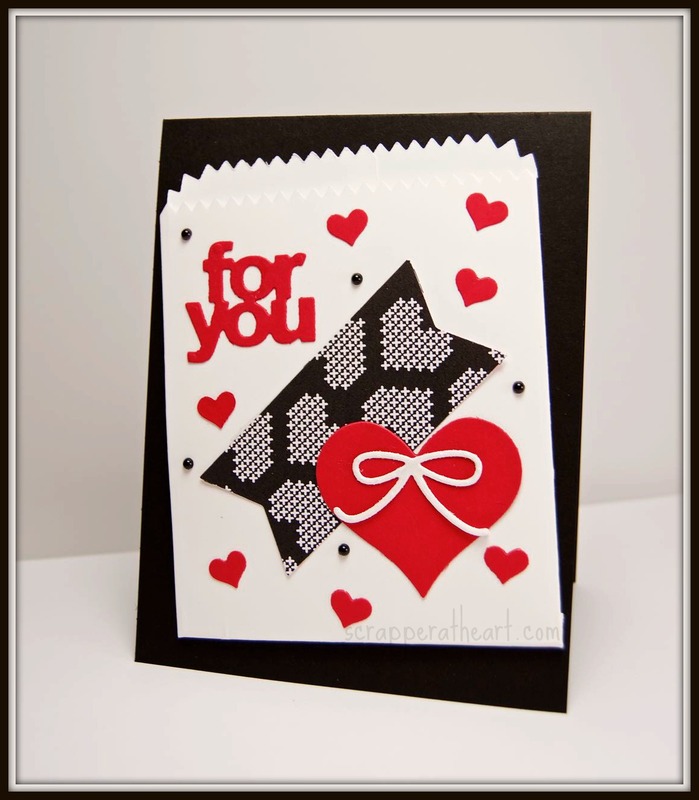 Categories: Cards | Tags: Cards, gift card holders, Inspiration photo, love, rubber stamps, stamping, Stamping Up | Permalink. How cool using that bag to hold a gift card! I love this design and the colors really pop. Bold and clean at the same time. Wow! This is a great idea for a gift card holder. I hope I find time to make one for my son and daughter in law. Your card has some masculine and feminine details on it. Super cute. Wonderful design and a great idea for a gift card receptacle. This is a really cool card Nancy! Love the design! So happy you joined us at Time Out too! Nancy, your son is going to love this! What a fabulous take on the inspiration photo! Love that gift bag – perfect for tucking in a gift card! What a fabulous idea and totally perfect for your son. I hope he doesn’t peek either to see all those loving hearts coming his way. So good when we get inspiration from others. Love it! Well, how cute is THIS!!! What an awesome way to give a gift card – super idea. I love your colors too, I’m such a fan of red, black and white. Your son and his girlfriend will really like it!! What an adorable gift card holder! Love all of the different hearts and your wonderful colors! Absolutely loving the packet in the background and the red white and black is very striking. Such a fun design. Super cute, loving that little bag! Love stitched hearts! Great design too. Thanks so much for joining us at Time Out!